Heat oven to 350°F. Grease bottom and sides of 15x10x1-inch pan with shortening; lightly flour. Or spray with cooking spray. In large bowl, make cake batter as directed on box. Pour into pan. Bake 18 to 22 minutes or until toothpick inserted in center comes out clean. Cool completely, about 1 hour. 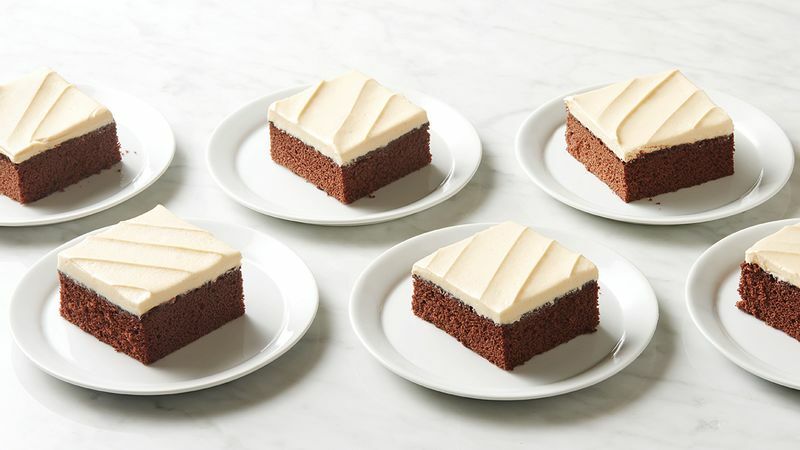 For even more indulgence, when serving, drizzle each piece with additional salted caramel sauce. To soften butter, cut in small pieces, and leave at room temperature. A faster method is to microwave butter in 5-second intervals, turning frequently so butter is softened but not melted.